Subway is launching a brand new vegan sub and salad as well as garlic aioli in its franchises nationwide across the UK. We’ve been teased with images and tidbits of information over the last few weeks regarding new vegan options launching at fast-food sandwich joint Subway, and we’re pleased to announce that the rumours are true! 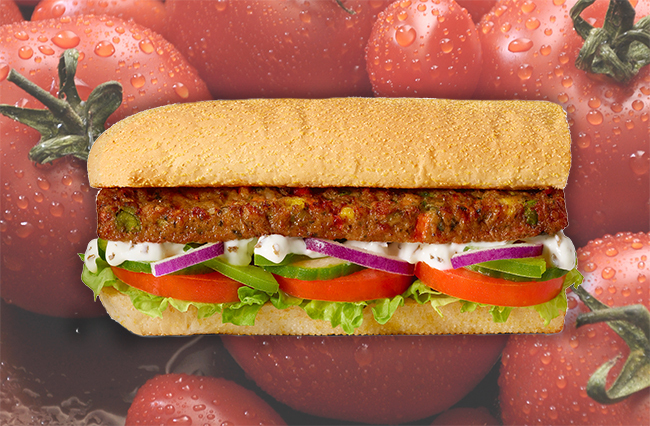 Following huge customer demand and successful trials, Subway is launching a brand new vegan sub and salad today in its franchises nationwide across the UK. 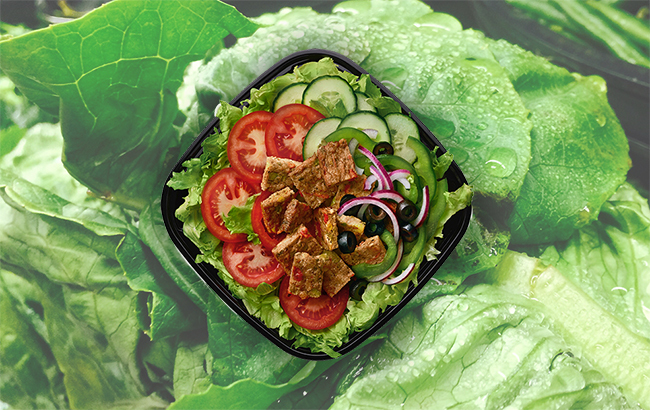 You won’t find beige, bland and boring sandwich fillings here as Subway’s Vegan Sub and Salad features a patty bursting with the vibrant flavours of tasty red pepper, spicy chilli, garlic and red onion. The new Vegan Sub and salad is the perfect accompaniment to the company’s fancy new vegan garlic aioli, a creamy garlic sauce that adds a delicious flavour to your sub. In a statement sent to Vegan Food & Living, a spokesperson for the company said: “Whether you’re veggie, vegan, flexitarian or just fancy a meat-free munch, customers may in fact be surprised at how much of the menu at Subway is already suitable for vegans. The vegan sub, salad and garlic aioli are permanent additions to the Subway menu and will launches nationwide from 17th April. Prices start from £3.80 for the Vegan Sub.